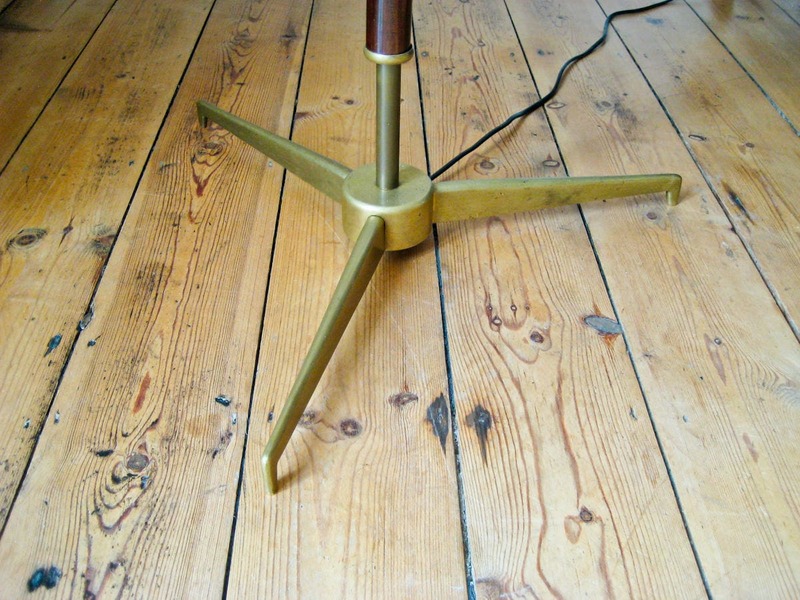 A beautiful mid century floor lamp Italian design dating from 1950’s. Made to the highest standard the solid brass turned stem decoration, top sphere and tripod base are finished very skillfully. 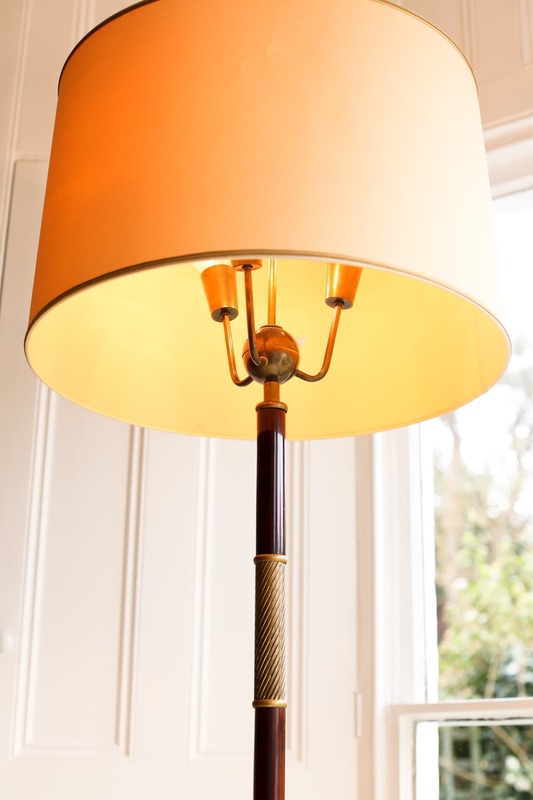 A tapered mahogany stem and original shade all in an excellent original condition. The base being remarkably similar to that of Arredoluce lamps of the period. 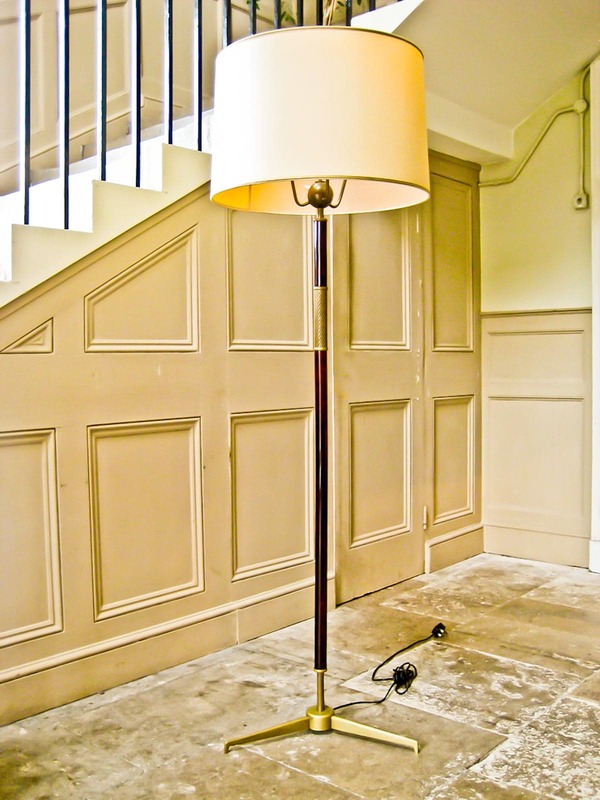 A beautiful mid century floor lamp which is very much in the style and quality of the lamps produced by Arredoluce in the 1950’s. 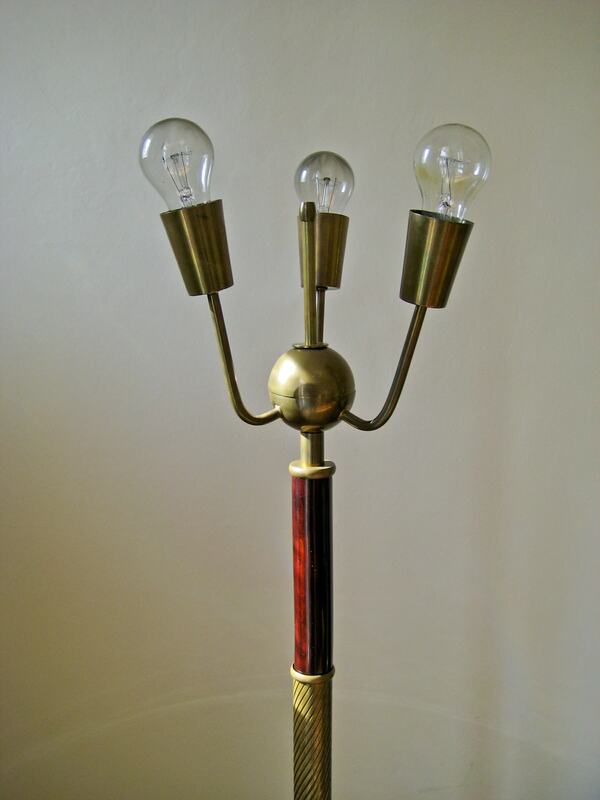 Solid brass detailing and a mahogany stem with nice patina, this is an elegant piece of Italian design.